Over 100,000 customers can’t be wrong and on average we’ve received a rating of EXCELLENT. Our quality and standards have been enthusing photographers since 2005. Your own photo as a canvas print makes a fantastic décor idea. 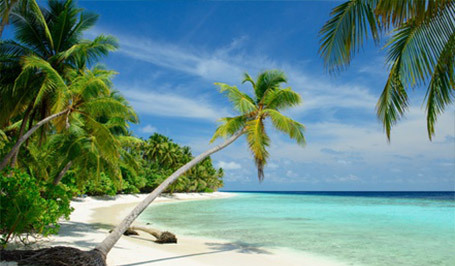 Photo-on-canvas.co.uk offers great quality at great value. Our prices begin from just £19. Got an important occasion coming up and want to give the gift of a canvas print? Not a problem. 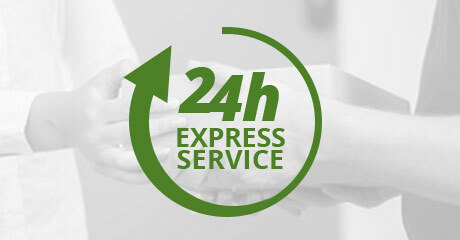 We offer next day and express delivery across Europe. Birthday approaching? Anniversary coming up? We offer next day delivery. More about next day delivery. Our special offers allow for popular sizes at especially cheap prices. 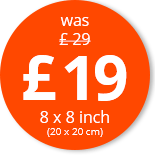 Here you’ll find out more about great value canvas prints. Create your canvas print as a collage. Over 250 different designs. Choose the template that’s right for your collage. Create a photo mosaic of up to 1000 personal photos. Your canvas print is also available to you as a mosaic. It’s very easy to make a photo on canvas these days. If you want to create your own canvas and order canvas prints to buy, you can do all of this in just a few minutes. 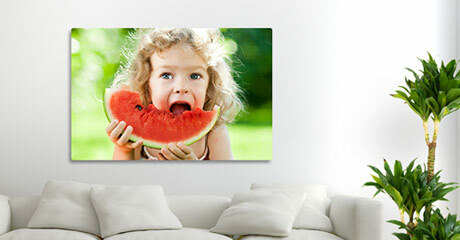 All you need to order cheap canvas prints is an image file with sufficient resolution. Three megapixels are enough for canvas prints in most formats. Your photos can also be highlighted with a Split canvas prints or as a 3 panel canvas prints. But to turn a photo into canvas is more these days than just wall art made from your own holiday photos. 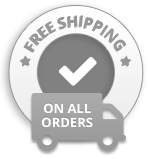 If you want to order canvas prints as a gift, don’t forget to take delivery times into consideration. If you need your gift in a hurry, you can use the Canvas prints next day option. This way you’ll have the certainty of getting your canvas pictures on time. The photo canvas is the most popular large format print you can create as a photo gift. 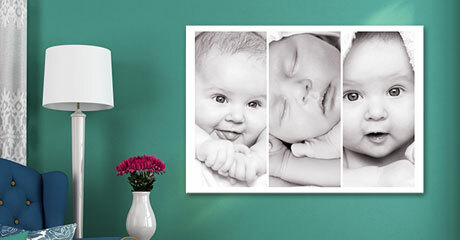 There are so many options available these days to turn canvas prints custom designed into personalised canvas wall art. The collage canvas is probably the most popular: For this, you can use up to 100 photos. 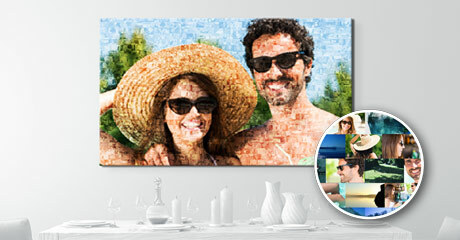 If you want to use even more photos, a mosaic canvas allows you to use up to 1000 images on one canvas. Our split canvas prints use much fewer photos but are just as spectacular. In this, a photo is split and printed across several canvases.